What words will be blocked by a spam filter? When you send an email campaign you want your audience to read the message, but spam emails are a significant problem. Your audience doesn’t want them, but an amazing 84% of email traffic is considered spam. Those running mail servers, are constantly looking for ways to identify spam, to filter it out for their users. Yet, while this improves the user experience of mailbox owners, it does mean that for some businesses, their emails are accidentally labelled as spam and filtered out. If this does happen, the chances of your email being read are dramatically reduced. There are numerous reasons why an email campaign might attract the attention of spam filters. Some of these are hard to control, but you can control the words used in your subject line, preheader text, and within the content of your email. Some words will highlight a message as potential spam and therefore be filtered out. By avoiding these words, you can improve the delivery rate of your emails and achieve a better ROI. Here’s a quick list of word groups to avoid and other ways you can get the same message across. Anything with the word ‘free’, ‘affordable’, ‘incredible deal’, ‘save’ or ‘cheap’ is a bad choice. Even if you place gaps between the letters you’ll likely be tagged as spam. To avoid this, you could use words like ‘complimentary’, ‘on the house’ or ‘without charge’. Of course, it’s best not to really mention this in your email if you can. Instead, direct them to a landing page with an interesting call-to-action that contains these promises. These are important because they are something you might use as a call-to-action. They both look urgent and tell the audience what they must do. However, no-one can act on something if they don’t see the message. Therefore, avoid these two phrases in your campaigns. These are common words used in a lot of spam and are therefore often filtered out. There’s not much you can replace these words with, so instead, use these words on your landing page from the email campaign. Marketing emails seem to be highly targeted. Words in this group include: ‘email marketing’, ‘internet marketing’, ‘multi-level marketing’, ‘online marketing’, ‘search engine listings’ and ‘web traffic’. There are just too many companies who don’t provide a good service in these areas and make fake promises that mail servers tend to be more cautious. There has been a long-standing issue with online medical sales, so anything that looks health or medical related is often counted as spam. Some of the common ones include ‘prescriptions’, ‘stop snoring’, ‘weight loss’, ‘diet’, ‘pills’, etc. There’s a long list of these. So, if you’re in the medical profession, or want to use a medical term in your campaign, be warned it might not work. Another common set of words which are targeted by spam filters are those related to the financial services. This could be banking, investments or any currency. There are lots of these words and if you are thinking about using them, then you are likely going to have a smaller audience due to filters. Notable words include: ‘income’, ‘billion’, ‘cash’, ‘compare rates’, ‘credit’, ‘refinance’, ‘income’, ‘earn’, etc. You want your email campaigns to be successful, so don’t use words that spam filters target. 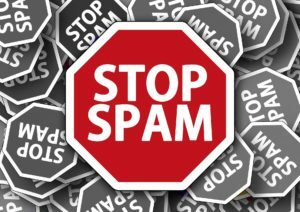 We’ve given over 30 words you need to avoid using if you are to skip past the spam filters. What you use instead might need to be inventive, but for the potential rewards, it’s worth the investment of your time. What words do you use in your spam filters? How do you create meaningful copy to avoid spam filters? Email marketing is one of the most important activities that your business, whether big or small, should be doing this year. It consistently has the highest return of any digital marketing channel and can be a real force to re-engage old prospects and customers to make consistent purchases with your business. They are also easy to implement and monitor, meaning you can concentrate more on what matters to your business, the production. Your email marketing campaigns will rely on several elements. However, one of them that will matter above all else is the writing of your email. If you don’t have good email copy, no one will pay attention to the offer you are presenting and your email remains just another message in a junk folder. This is important within the copy of the email as well as the subject line. You want to give instructions to your email list to tell them what you want them to do after reading the email. For instance, words like ‘download’, ‘take’, ‘reserve’, ‘buy’, etc. are pretty good actionable words. There are ways that you can tell the audience what to do without relying on verbs, which can provide you with extra room and seem less pushy. For instance, TicketMaster will send emails like “Don’t Miss Bruce Springsteen and the E Street Band”. This doesn’t use a verb, but it indicates what actions you need (i.e. book tickets). Most people don’t really read their emails, just like blog posts. They skim read them looking for the really important pieces of information. You probably only have about five seconds to impress your reader and get them to understand what you want. Therefore, you need to write short and simple emails. All your key points need to be bolded and bulleted so your audience can immediately see what is important. Next, you need to add a couple of call-to-actions so even if they miss the first, the second or third will attract their attention. Small business owners and inexperienced sellers are often adept at talking about features and what’s included in a deal but these aren’t very convincing to prospects. Your audience doesn’t care that your product has the most powerful technology in the industry or can process commands in 1/600th of a second. For many that will have no meaning to them. Instead you need to advertise the benefits to the customer of your product. Talk about how it can save them time, money or improve their life, social standing, etc. This is far more convincing. Email readers are often cynical of most emails they receive. Many of them will immediately assume that your email is spam or just selling them something, and this isn’t what they want in their inbox, despite email being the consumer’s most preferred marketing channel. To avoid this cynicism you need to establish credibility and this can be done via proof. Show that you understand the consumer by using their language and buzzwords. To add to this, back up any claims with facts and numbers. There is nothing better in marketing than to provide a personal experience. People who see generic messages will often assume that the message has been sent to thousands of people with little relevance to them. However, by personalising the message, your reader will feel special; like they are the one who was chosen for your specific message. Include personalised information (name, business name, website information, etc.) within the subject line and content. Segment your list for readers. Send content at the right time for their location. Email marketing is a great channel to sell your products and services. You can enhance your emails and get better returns if you write great copy. Consider the tips above to ensure that your emails are more engaging and convert more readers. 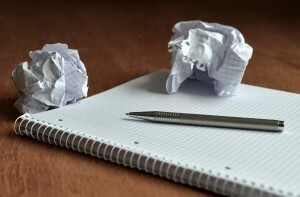 What are your writing tips? How do you convert readers into customers?